The Salt Satyagraha was a campaign of nonviolent protest against the British salt tax in colonial India which began with the Salt March to Dandi on March 12, 1930. It was the first act of organized opposition to British rule after Purna Swaraj, the declaration of independence by the Indian National Congress. Mahatma Gandhi led the Dandi march from his Sabarmati Ashram to Dandi, Gujarat to produce salt without paying the tax, with growing numbers of Indians joining him along the way. When Gandhi broke the salt laws in Dandi at the conclusion of the march on April 6, 1930, it sparked large scale acts of civil disobedience against the British Raj salt laws by millions of Indians. Gandhi was arrested on May 5, 1930, just days before his planned raid on the Dharasana Salt Works. The Dandi March and the ensuing Dharasana Satyagraha drew worldwide attention to the Indian independence movement through extensive newspaper and newsreel coverage. The satyagraha against the salt tax continued for almost a year, ending with Gandhi's release from jail and negotiations with Viceroy Lord Irwin at the Second Round Table Conference. Over 80,000 Indians were jailed as a result of the Salt Satyagraha. The campaign had a significant effect on changing world and British attitudes toward Indian independence, and caused large numbers of Indians to actively join the fight for the first time, but failed to win major concessions from the British. 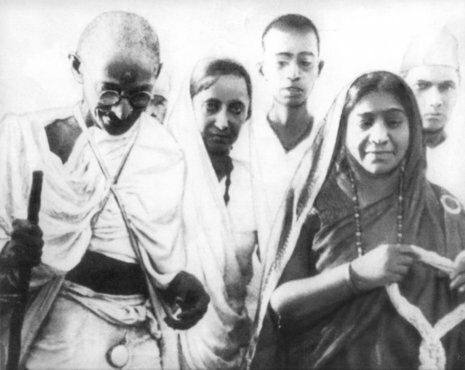 The Salt Satyagraha campaign was based upon Gandhi's principles of nonviolent protest called satyagraha, which he loosely translated as "truth-force." In early 1930 the Indian National Congress chose satyagraha as their main tactic for winning Indian independence from British rule and appointed Gandhi to organize the campaign. Gandhi chose the 1882 British Salt Act as the first target of satyagraha. 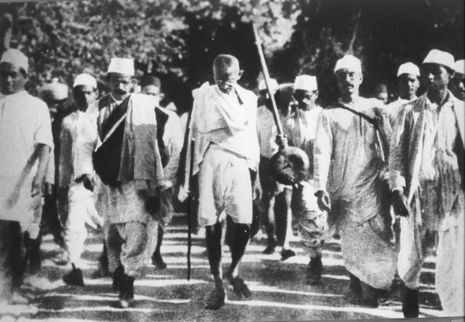 The Salt March to Dandi, and the beating of hundreds of nonviolent protesters in Dharasana, demonstrated the effective use of civil disobedience as a technique for fighting social and political injustice. The satyagraha teachings of Gandhi and the March to Dandi had a significant influence on American civil rights activist Martin Luther King, Jr., and his fight for civil rights for blacks and other minority groups in the 1960s.